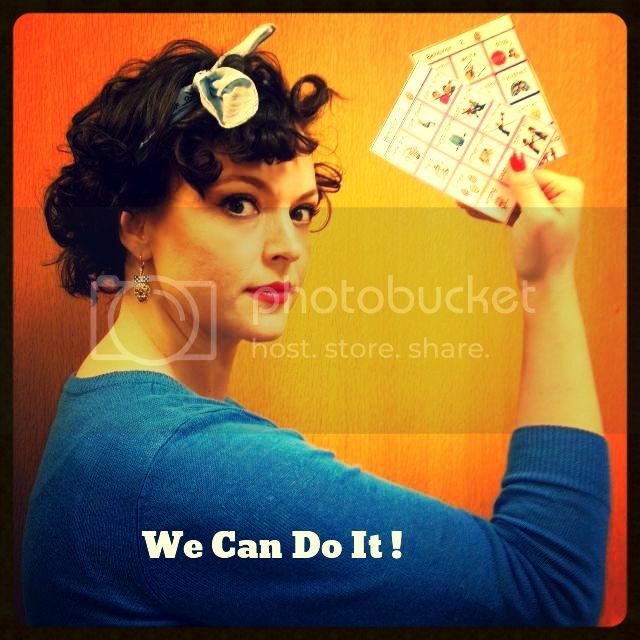 This pic was taken of me by a co-worker who said I looked like Rosie the Riveter. Afterwards, she and I decided to start a project in which we would take pictures of all the teachers and support staff in our department in the Rosie the Riveter style. Each individual would be holding something that was related to the work they do. I am holding communication pages that our special needs students use to assist in communication. Our audiologist will hold an otoscope, a teacher might hold an iPad, the behavior specialist could hold a behavior contract, etc. I added a color wash and the text. I think my niece did a better job of posing than I did. She is fearless!!! That seriously is one of the cutest things ever. You need to frame it. 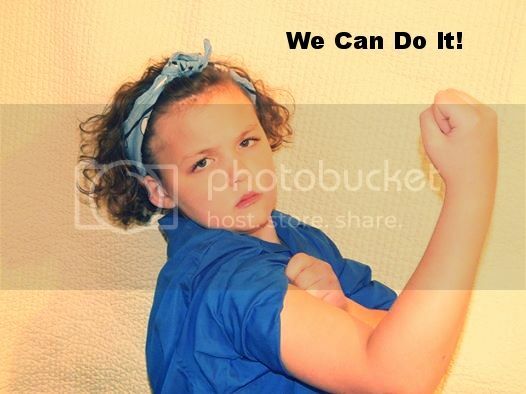 I hope you really do the "Riveter" series and make posters to hang around your building. It would be so cute!